The Style Climber: What's In Her Jeans? What's In Her Jeans?? COMFORT!! Thank you Levi's for making comfort jeans. These babies fit like a smooth caressable glove that snugs in all the right places. I don't think I need to say more, except go get yourself a pair! I've got some exciting news to share in the coming week. I hope you'll like my surprise! I'm a bit nervous about it but I'm going in full on! Thank you ! 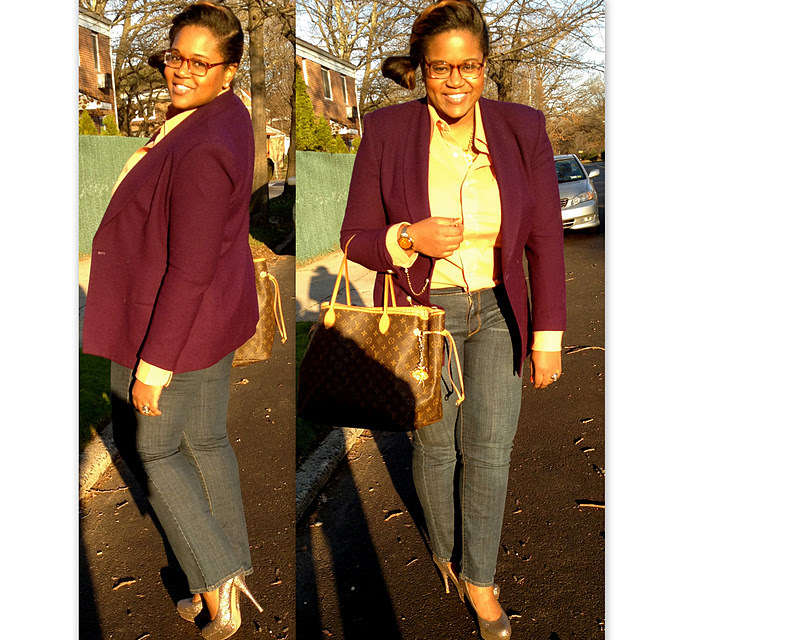 Love your blazer, the color looks very pretty !